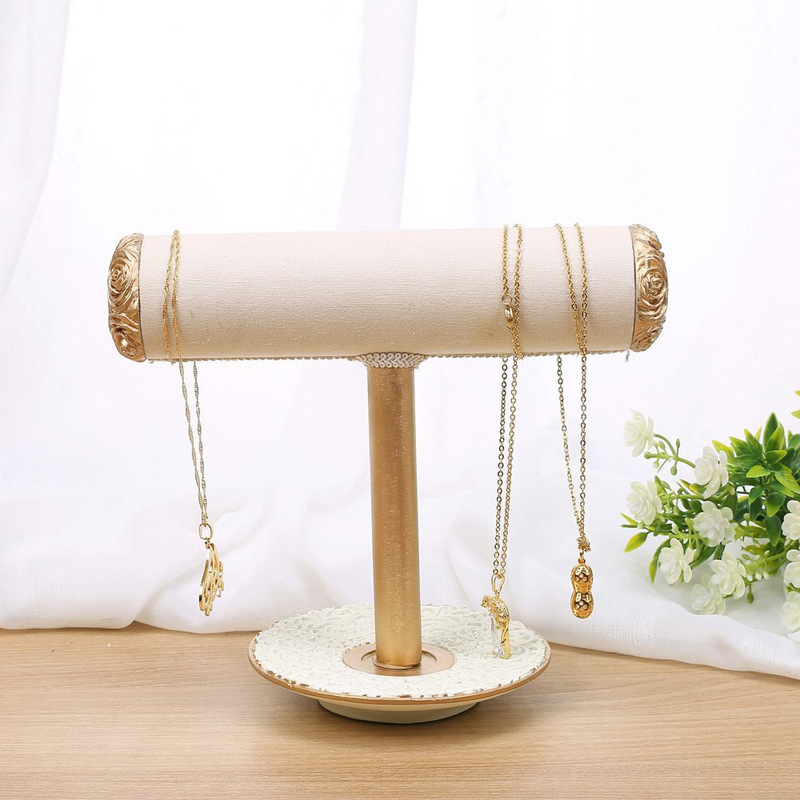 Brightly polished and delicately crafted, these gorgeous and astounding jewelry holder stands offer a lovely, professional and highly elegant display of your jewelry! 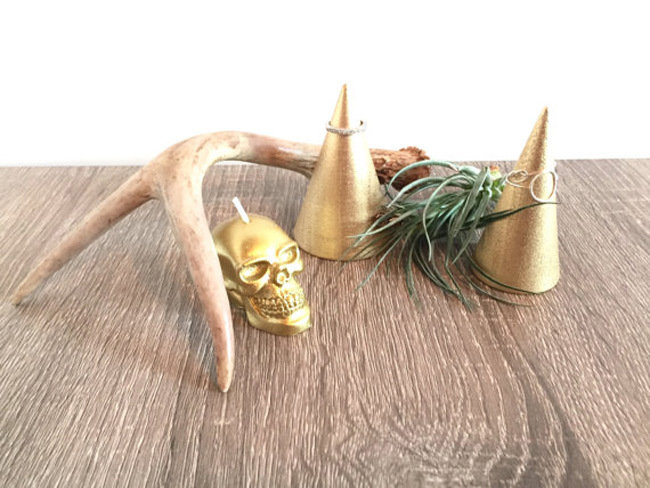 They come in all kinds of shapes and designs, featuring beautiful nature themed display or modern and abstract shaped items of display that will undoubtedly impress all your customers! 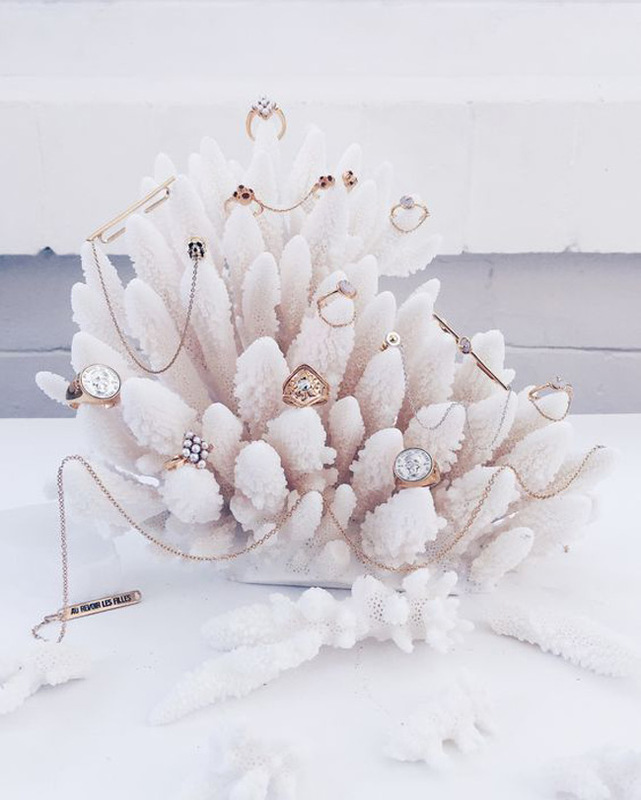 They are created for a beautiful and classy display of your jewelry and they all aim to present them in a satisfying, efficient and attractive manner! Their wide range makes them even more appealing and you will be able to easily pick the ones that suit you best! 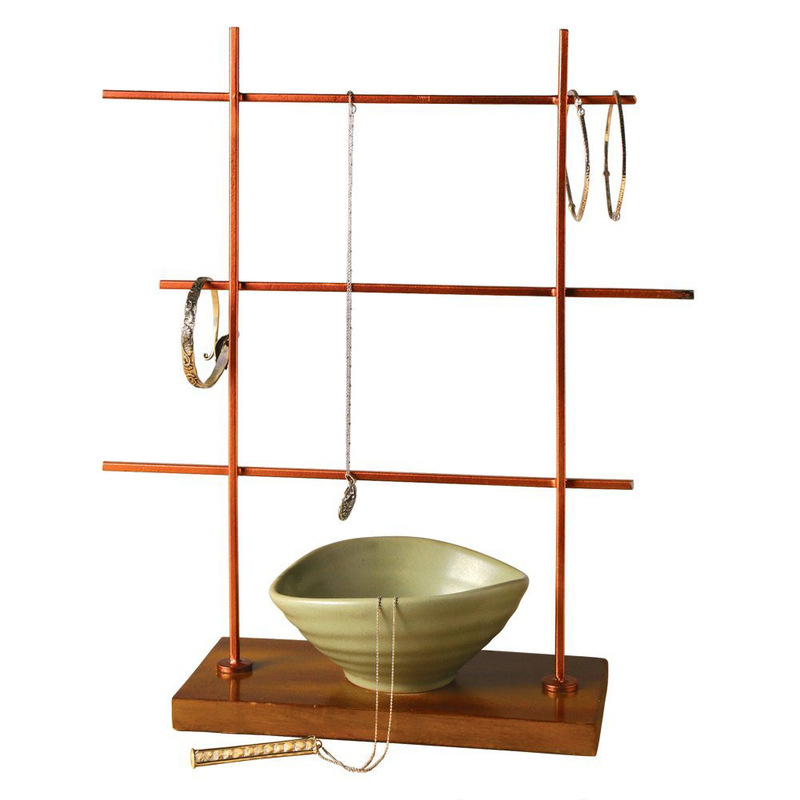 You can always check the Zen store for many more types of jewelry holders or go straight to our jewelry holder stands in the store if you’re not in the mood for scrolling through our recommendations. Rich and attractively colored, these golden colored two cones offer a beautiful and elegant manner of displaying your beloved pairs of earrings, rings, and ear studs as well! 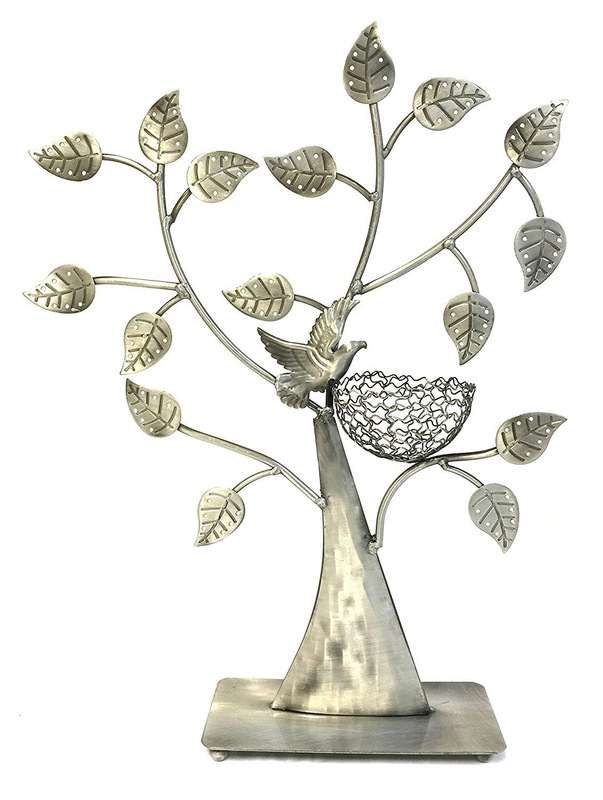 Gorgeously crafted, this lovely and adorable tree themed jewelry display features an amazing and intricate crown with a beautiful little birdie that will definitely display your jewelry collection with style! 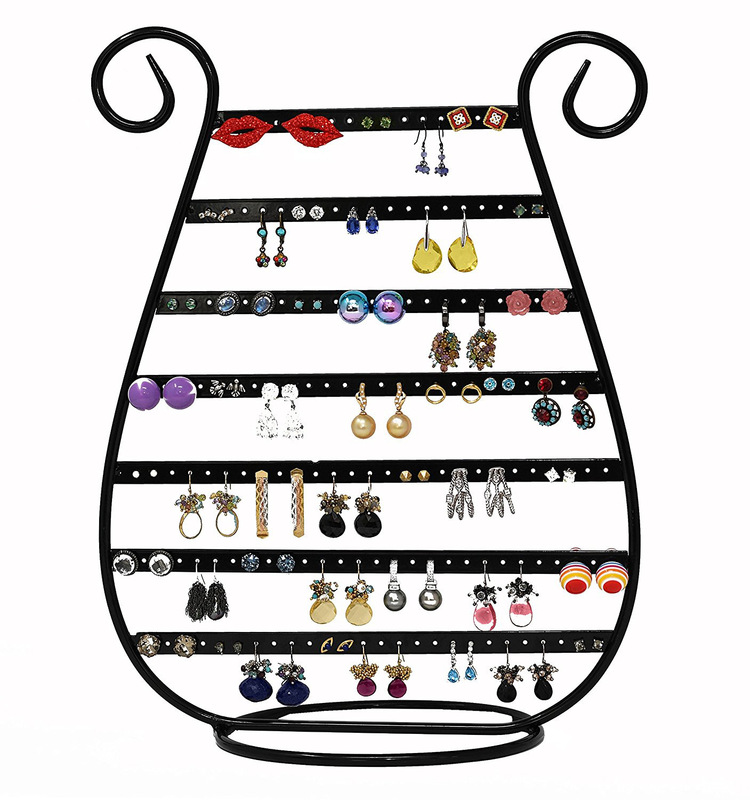 Elegant, striking and chic, this black colored jewelry holder provides an efficient and professional method for the display of your rings, earrings, ear studs and plenty of other pieces of jewelry! 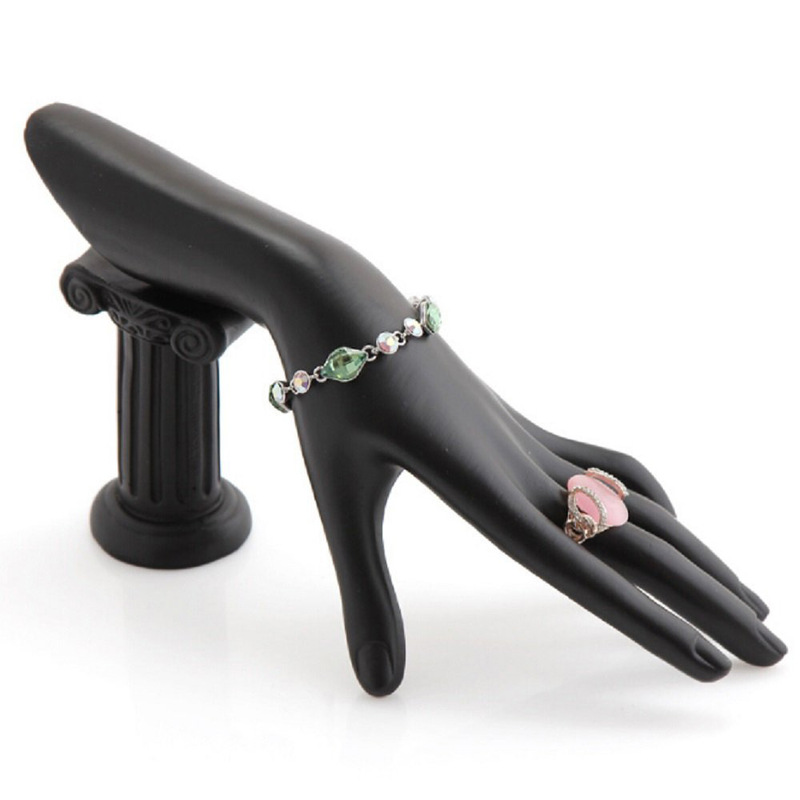 Amazing and impressive, this hand shaped jewelry holder offers a new and creative manner of jewelry display that will definitely impress all of your customers with its chic originality! 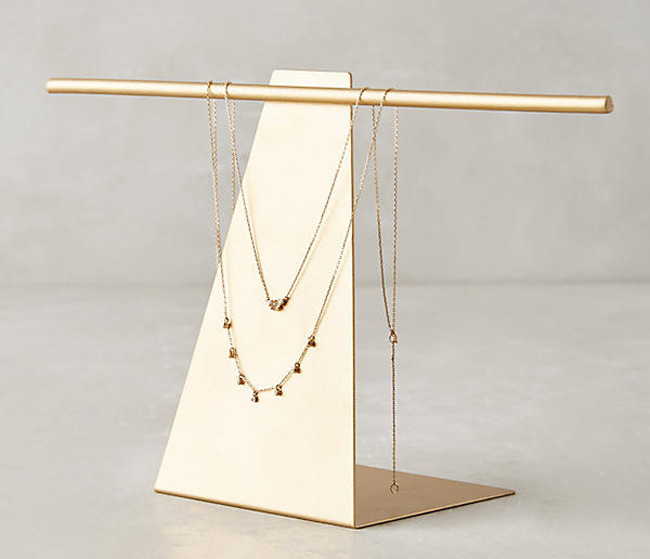 Efficient and elegant, this three-tier jewelry display is a lovely and delicate way of presenting your necklaces, bracelets, watches and many other beautiful items of jewelry to your customers! Chic, stylish and attractive, this black and striking hand has been neatly designed in order to display your lovely rings, bracelets and watches in a more interesting and captivating manner! 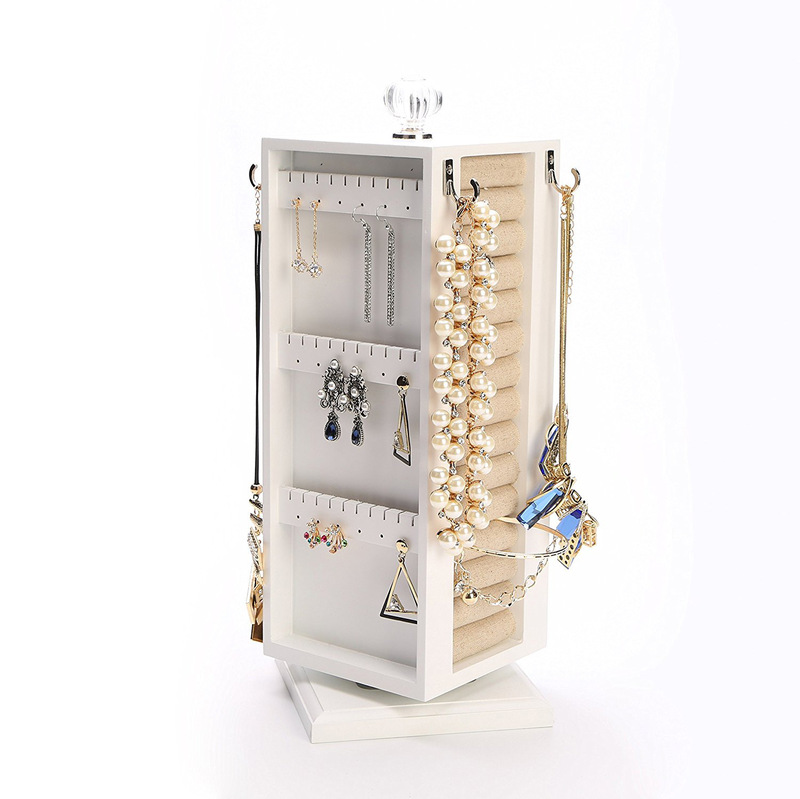 Spacious and professional, this beautiful and elegant jewelry holder is meant for the display of your entire collection of jewelry and it will both organize and exhibit them elegantly! 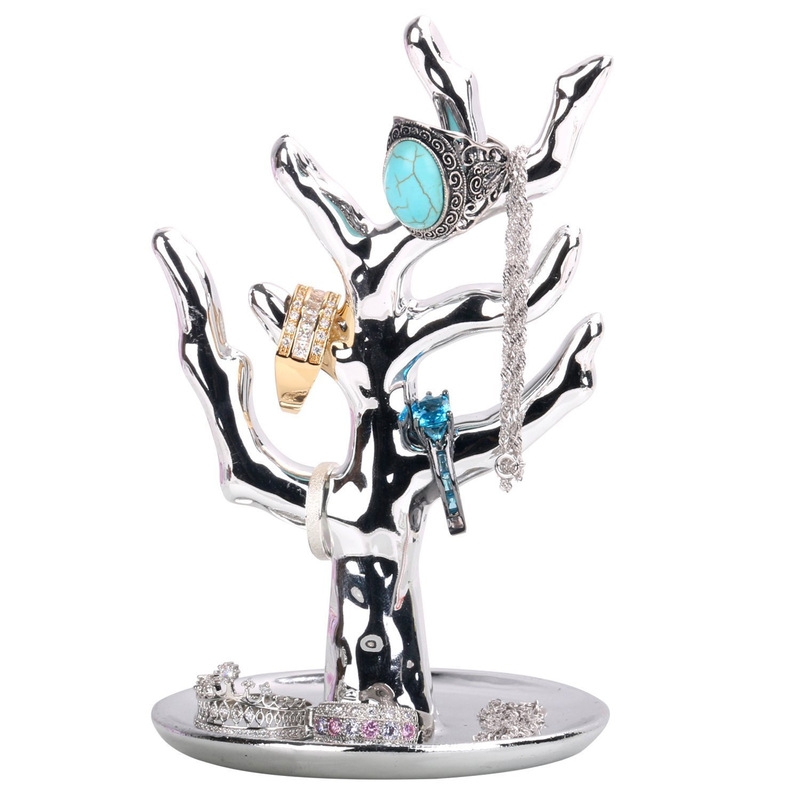 Stylish, attractive and glossy, this bright silver colored jewelry tree holder offers a highly beautiful and fascinating way of presenting and arranging plenty of your pieces of jewelry! 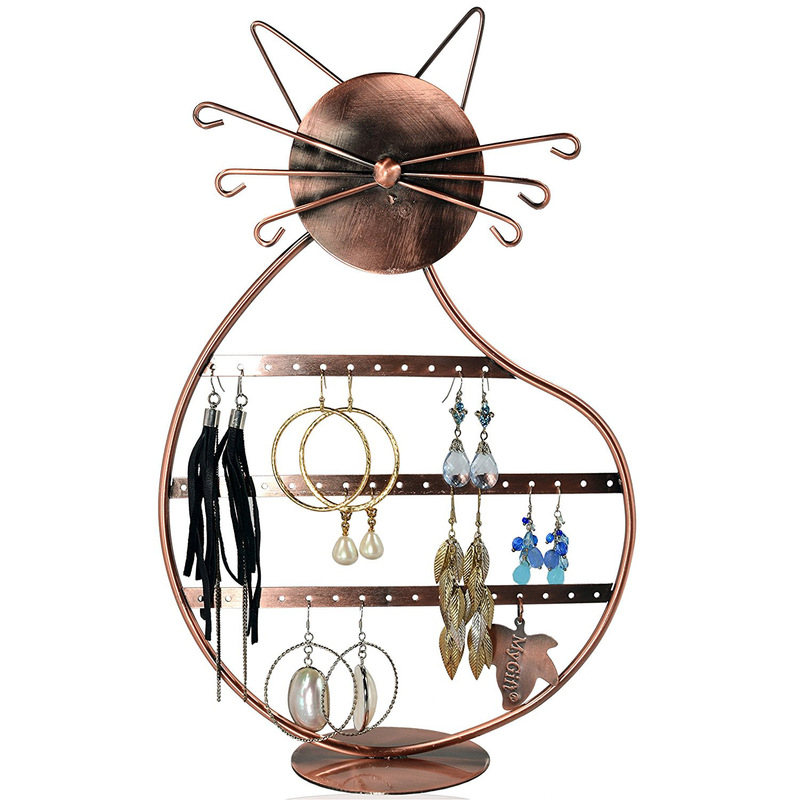 Adorable and unique, this feline shaped jewelry holder presents a gorgeous and authentic manner of jewelry display that will definitely appeal to all cat lovers out there! 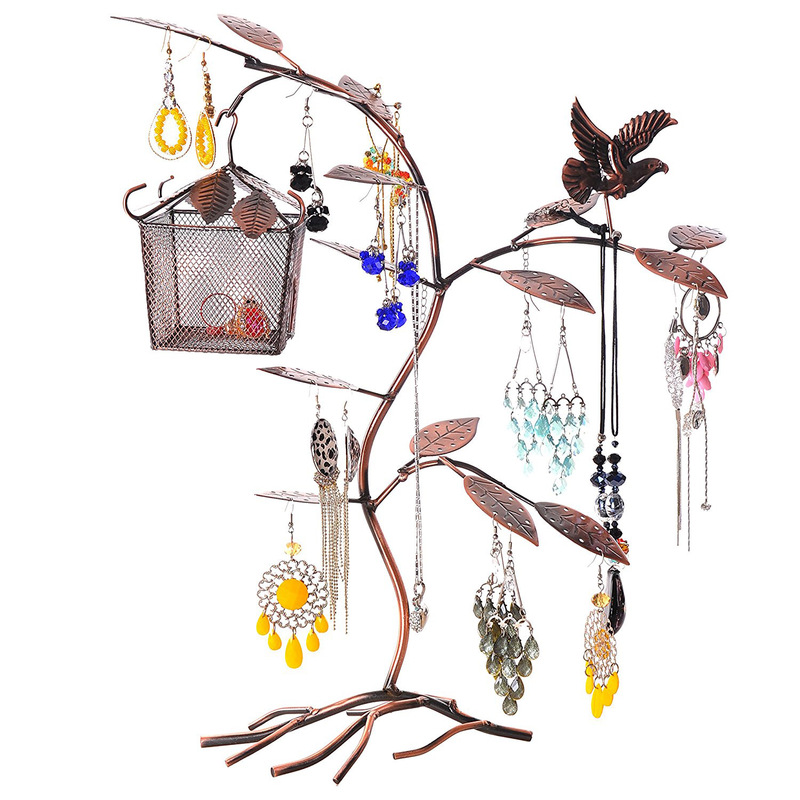 Intricate and elegant, this rich colored jewelry tree holder offers a stylish, original and attractive method for exhibiting your necklaces, bracelets, rings, earrings and so on and so forth! 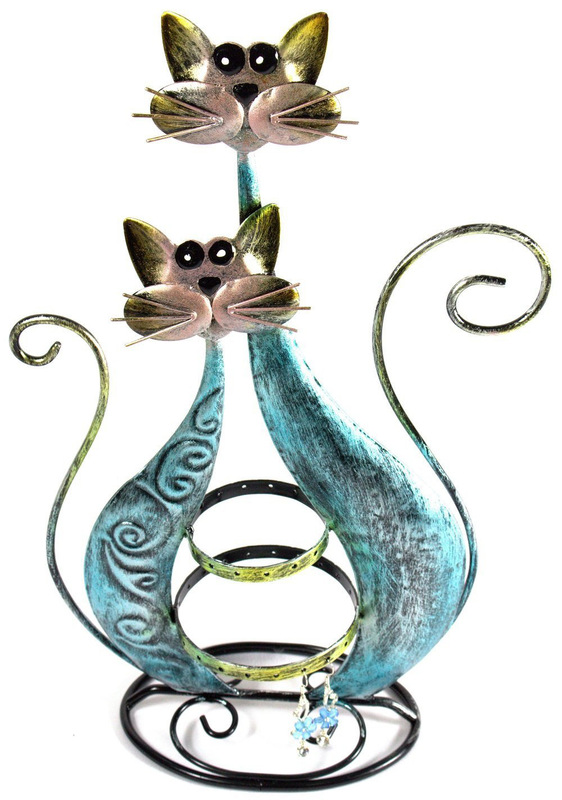 These cute little kittens have been designed with style and finesse and they are meant to delicately display your most precious pieces of jewelry in a totally innovative manner! Compact yet elegant, this holder is a professional and highly attractive way of organizing and presenting your entire collection of jewelry products that will definitely appeal to your clients! 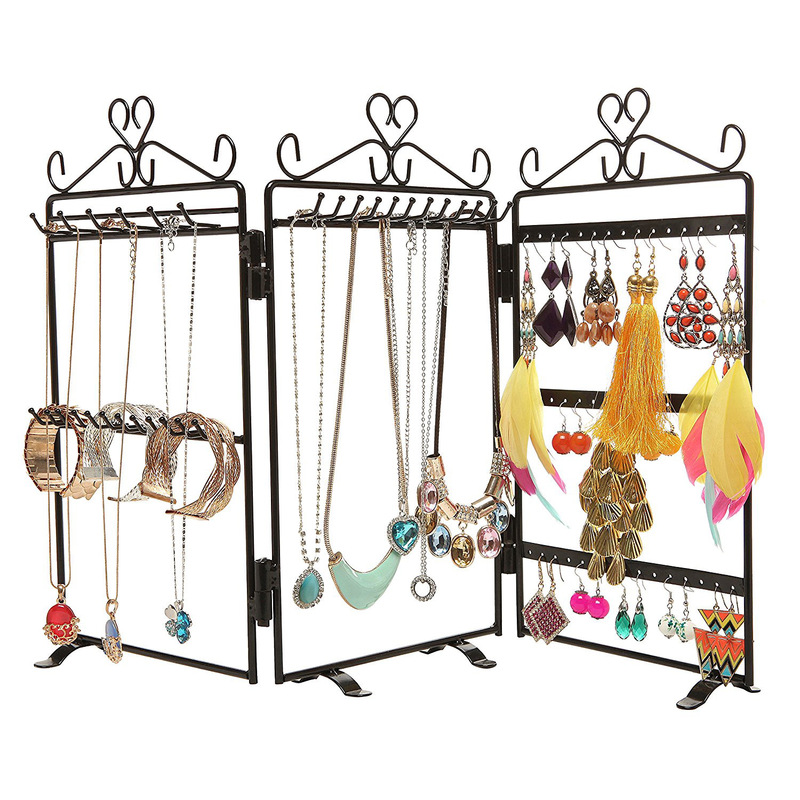 Gorgeous, striking and efficient, this amazing black colored jewelry organizer has been created in order to store, arrange and display your entire collection of jewelry in a completely professional way! 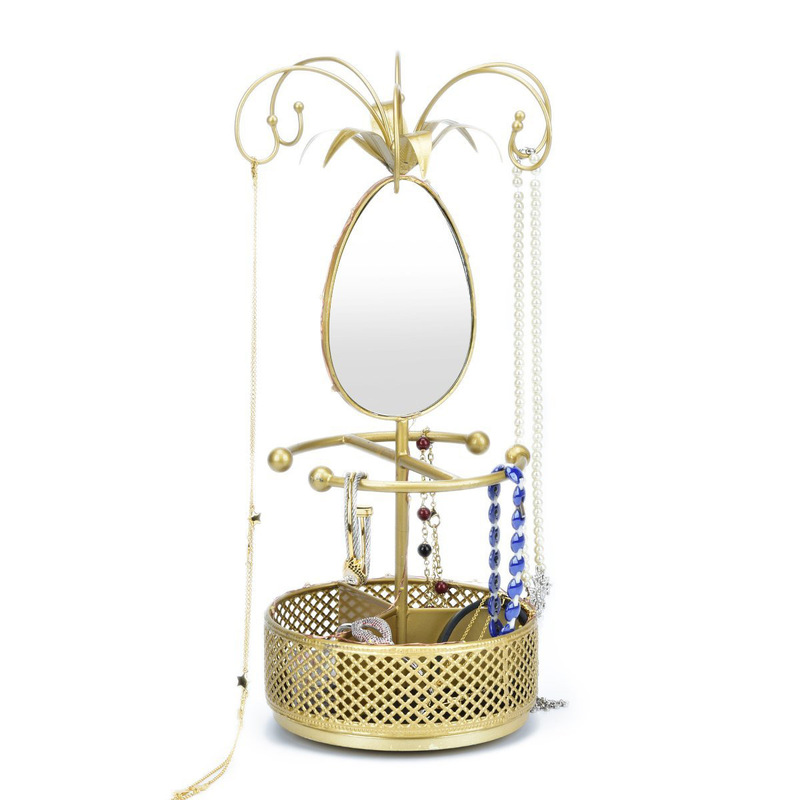 Beautiful and artsy, this lovely and rich golden colored jewelry holder offers a unique and attractive manner of display while featuring a lovely diamond shaped looking glass as well! Stylish, original and attractive, this oriental themed jewelry holder presents an interesting and fascinating way of organizing and displaying your jewelry to your clients that will definitely be very efficient too! Graceful and elegant, these gorgeous crystal holders are a new and creative method for the display of rings, earrings, necklaces, bracelets and so on that will undoubtedly be very popular! 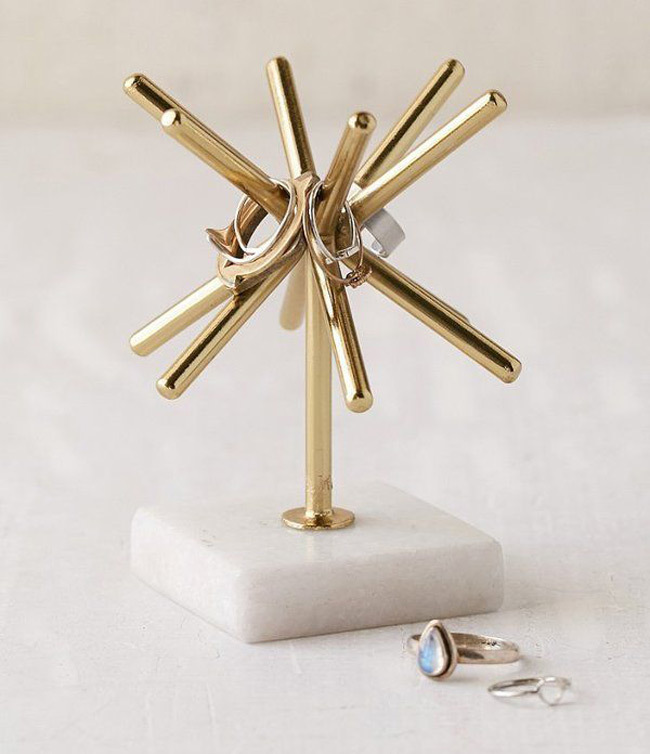 Abstract and modern looking, this gorgeous and lush jewelry holder is a most authentic and captivating manner of presenting plenty of rings in a totally unconventional and attractive way! 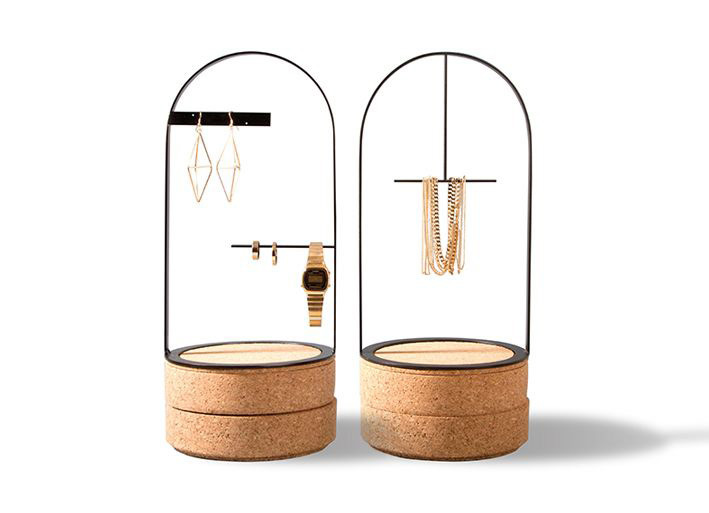 Fancy, intricate and beautiful, these two jewelry holders have been designed in order to present and organize your jewelry products in a completely new, attractive and innovative manner! 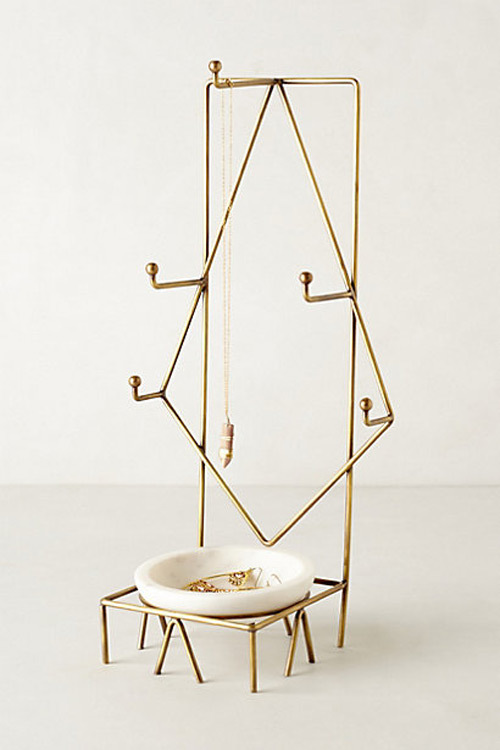 Gorgeously crafted, this golden abstract looking jewelry holder will show off and hold plenty of your jewelry items in a more unconventional yet just as interesting and elegant way! 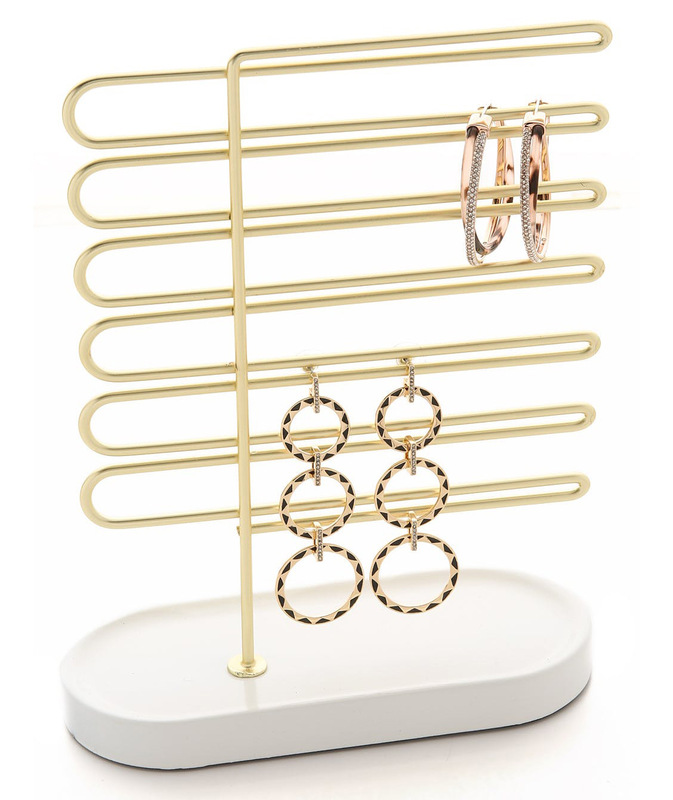 Simplistic yet beautiful, this amazing and wonderful jewelry holder has been created to offer your jewelry products a more interesting, captivating and special display that will make them even more attractive! 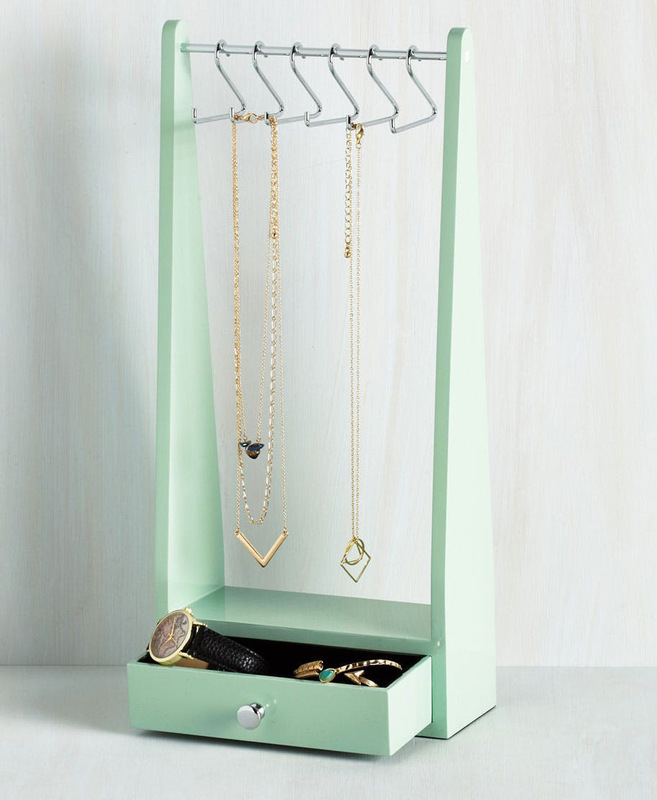 Brightly colored, this lovely light green jewelry holder features a gorgeous and modern design that is meant to display and organize your rings, earrings, bracelets, watches and even necklaces! 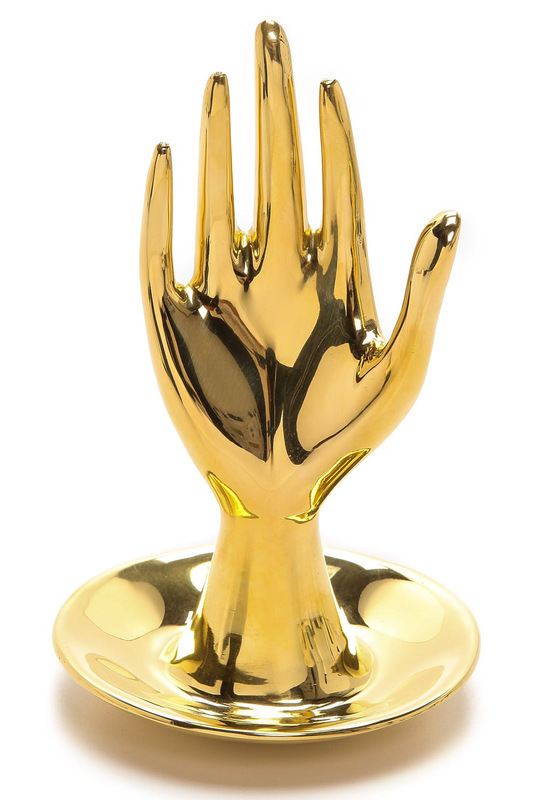 Striking and one of a kind, this gorgeous and lush hand shaped jewelry holder presents an artistic and creative new way of displaying and arranging your jewelry products in your shop! 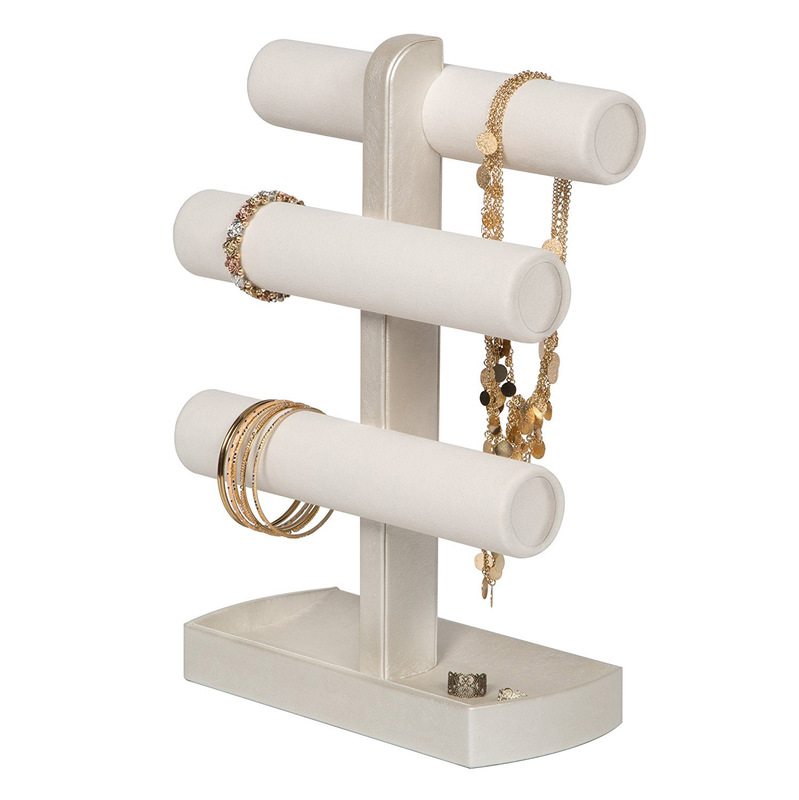 Efficient, elegant and attractive, this jewelry holder is a lovely and dainty little organizer that will beautifully exhibit your entire collection of rings, earrings and plenty of other jewelry! 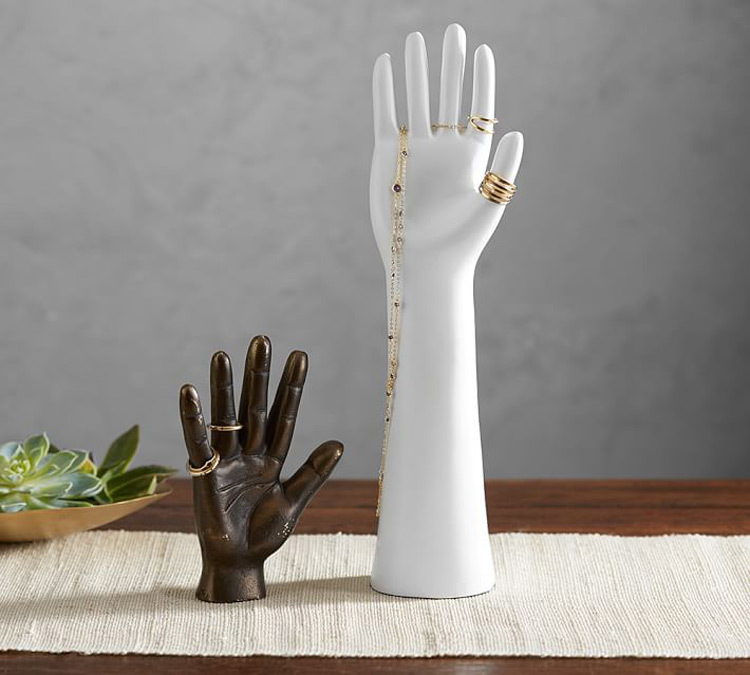 Unconventional and original, these two hand and arm shaped jewelry holders offer an interesting and captivating new idea for the display of jewelry such as rings, bracelets, watches and not only! 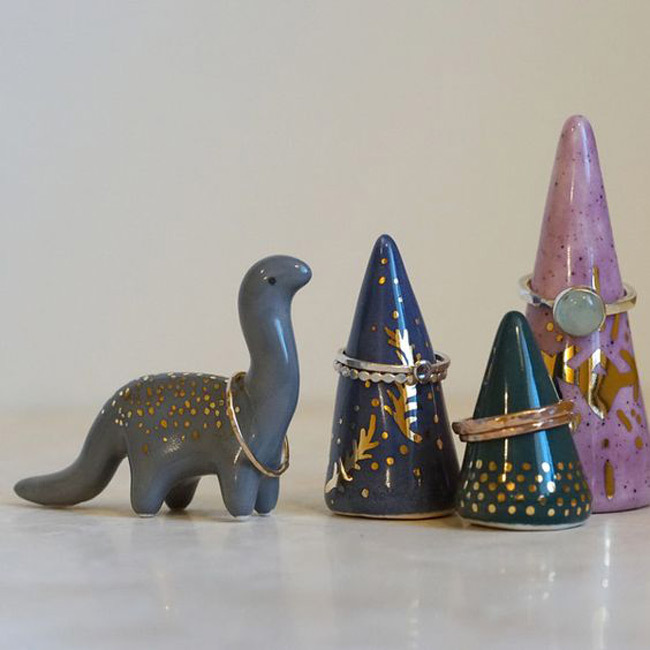 Adorable and brightly colored, these glossy cones and dinosaur shaped jewelry holders are a truly beautiful and cute new way of displaying your rings, bracelets, earrings and so on!